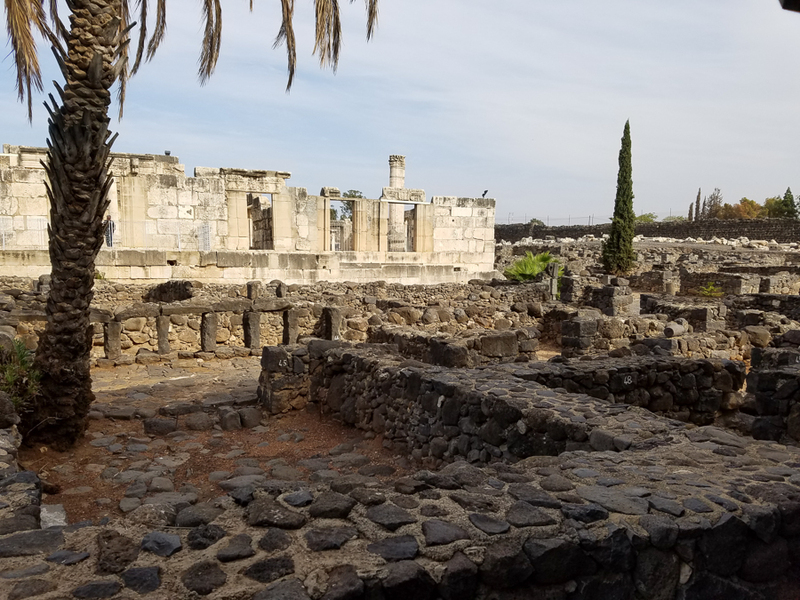 The fourth century synagogue in Capernaum was built over the first century synagogue where Jesus preached. 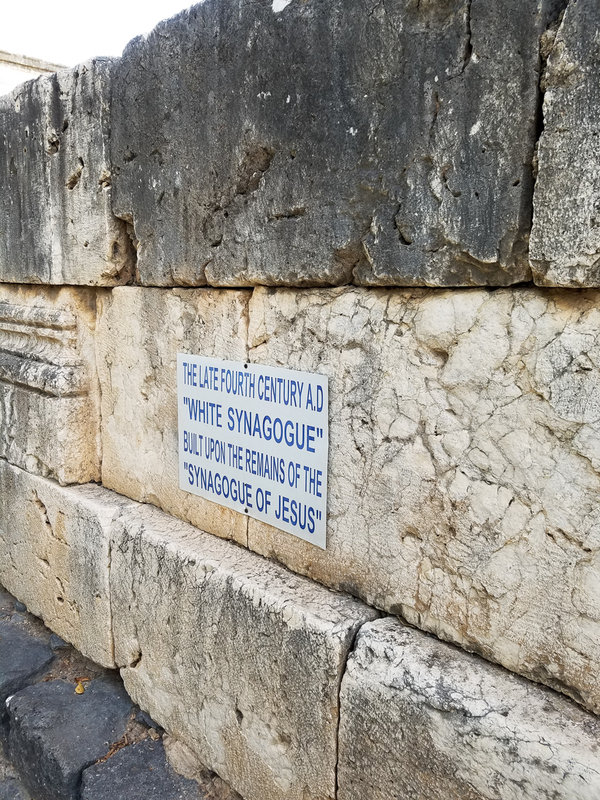 The impressive rear wall of the synagogue. 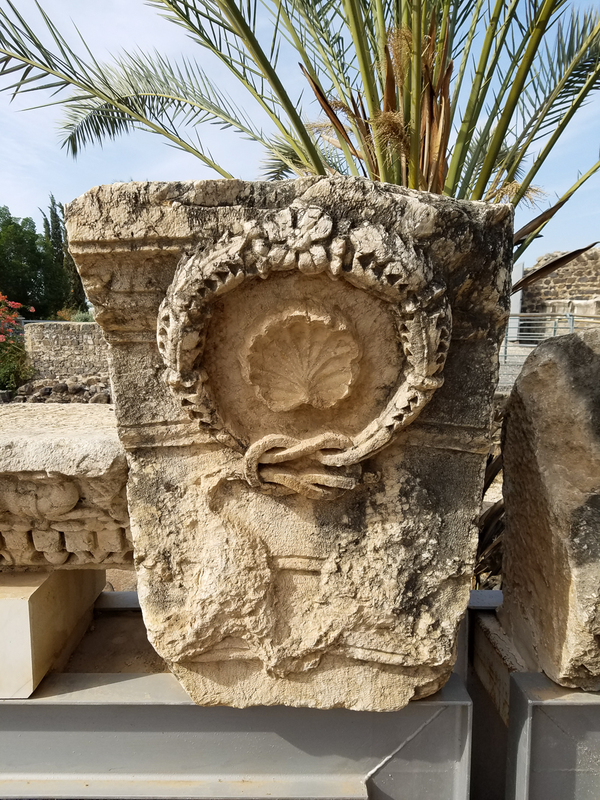 A very finely carved capital. 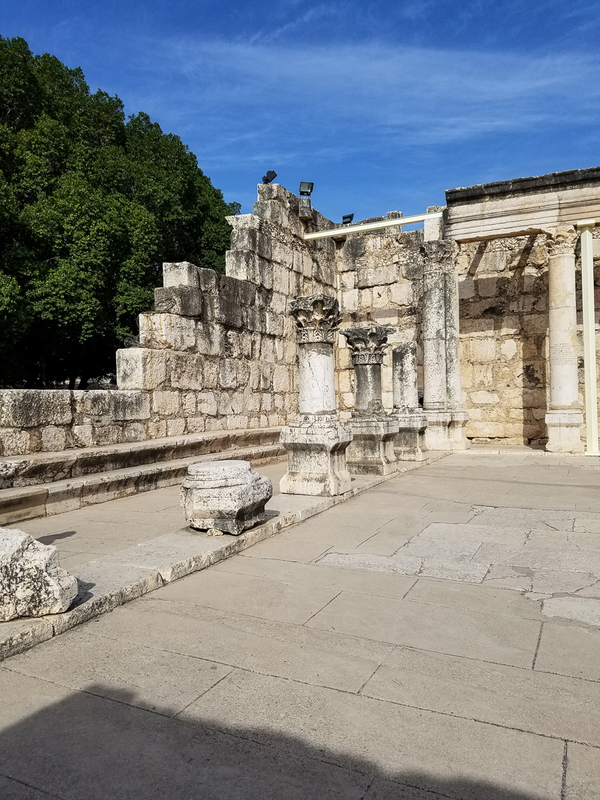 The stonework is highly decorative. 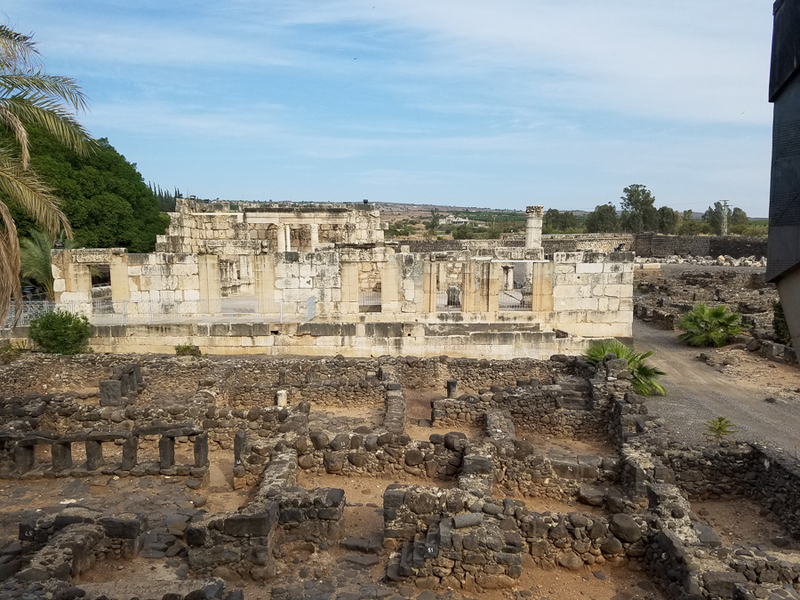 This entry was posted in Christianity, Travel and tagged Capernaum, excavation, Holy Land, Israel, Jesus, Synagogue on January 20, 2017 by frjfkauffmann. 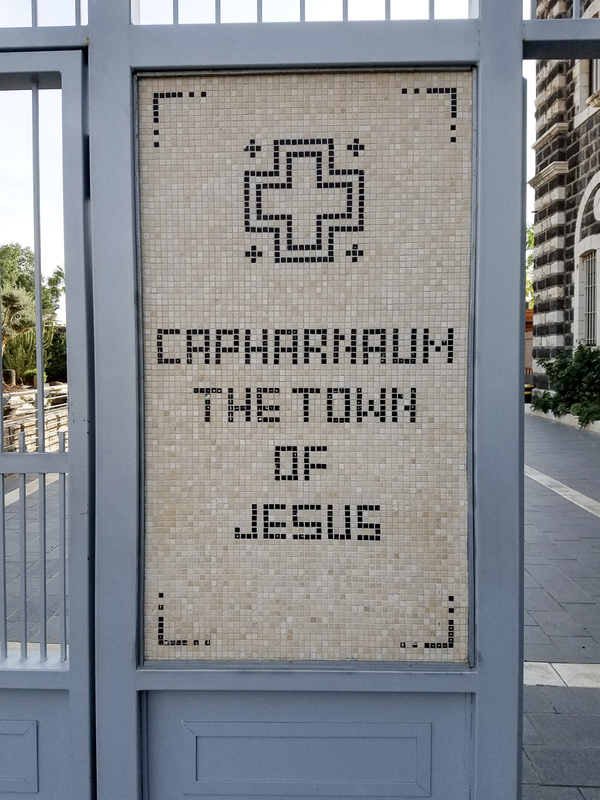 Capernaum figured largely in Jesus’ ministry. 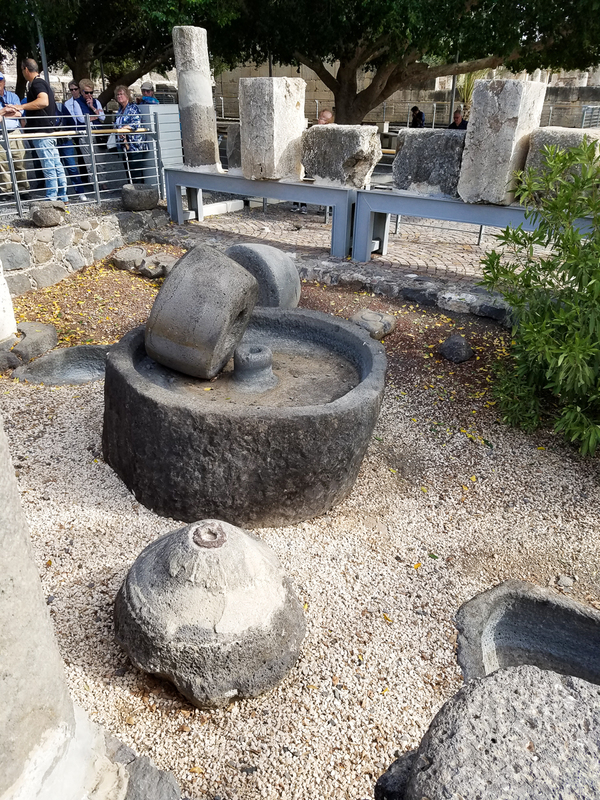 The church is built over the excavation of a house that was used church by early Jewish Christians in mid to late first century. 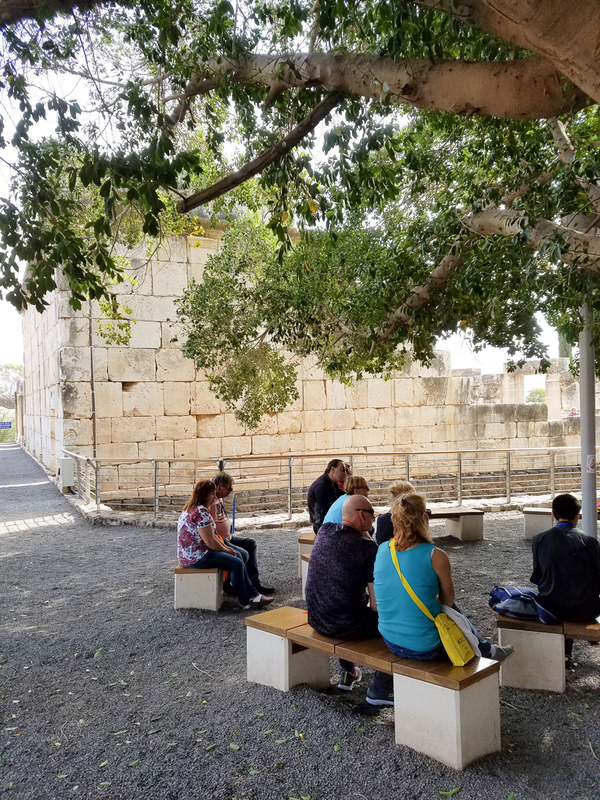 The church offers a commanding view of the synagogue built over the one in which Jesus preached. 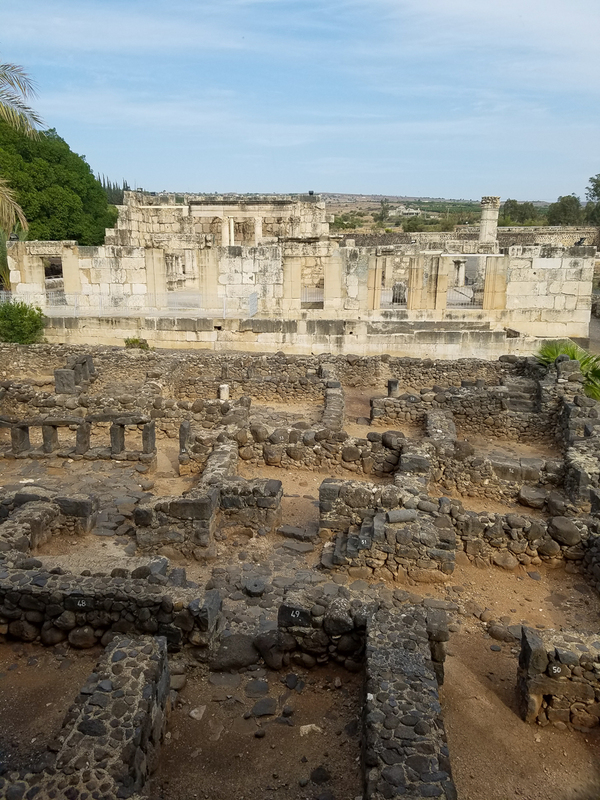 Surrounding the synagogue are excavated remains of first century homes. 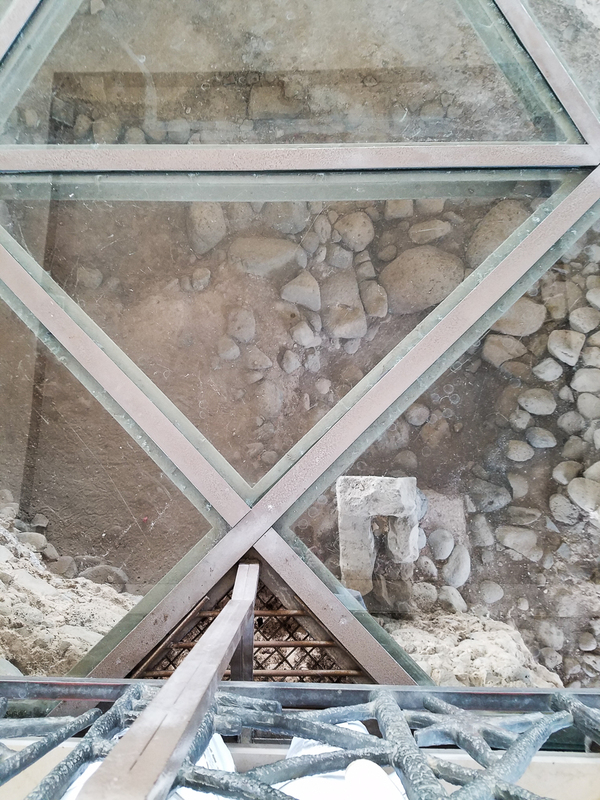 Under the glass floor of the modern church are the excavations of a fifth century church and also a fourth century synagogue, and under that was a first century house church, called the “House of Peter,” where there were discovered hundreds of Christian inscriptions in Aramaic, Greek and Hebrew saying Jesus, Lord, and Peter. 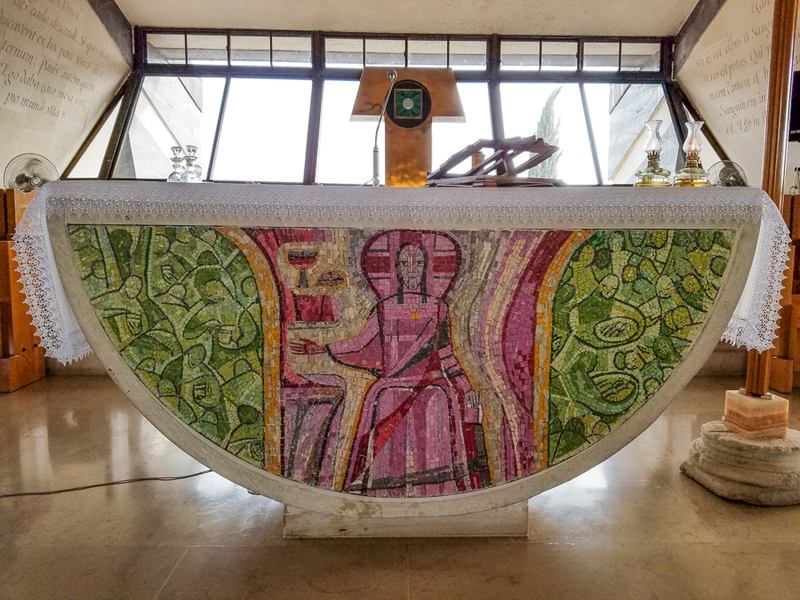 The altar where we offered Mass. 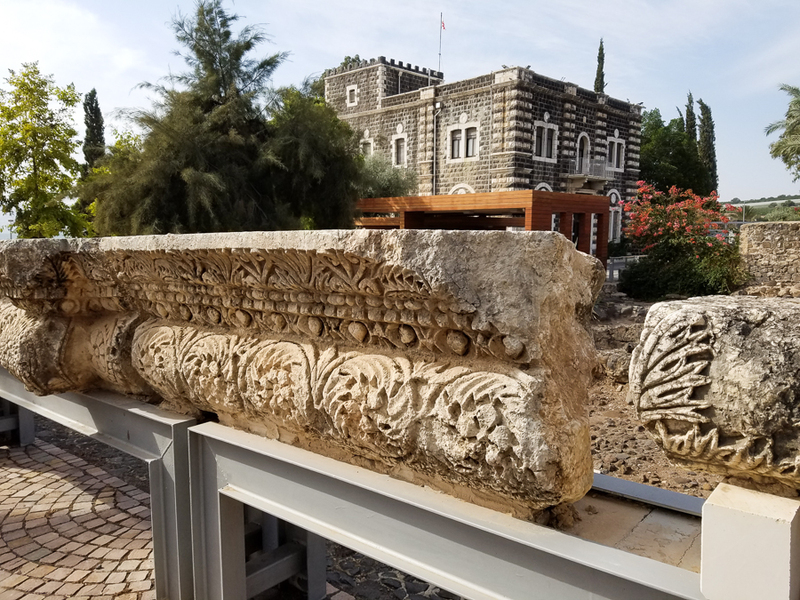 Excavations in the early 20th century revealed a fourth century synagogue. 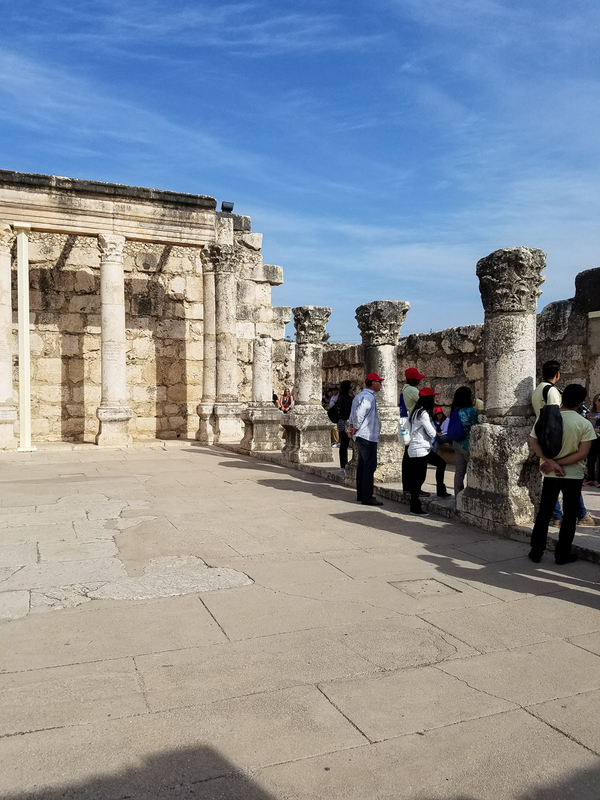 The fourth century synagogue was built over the first century synagogue where Jesus preached. 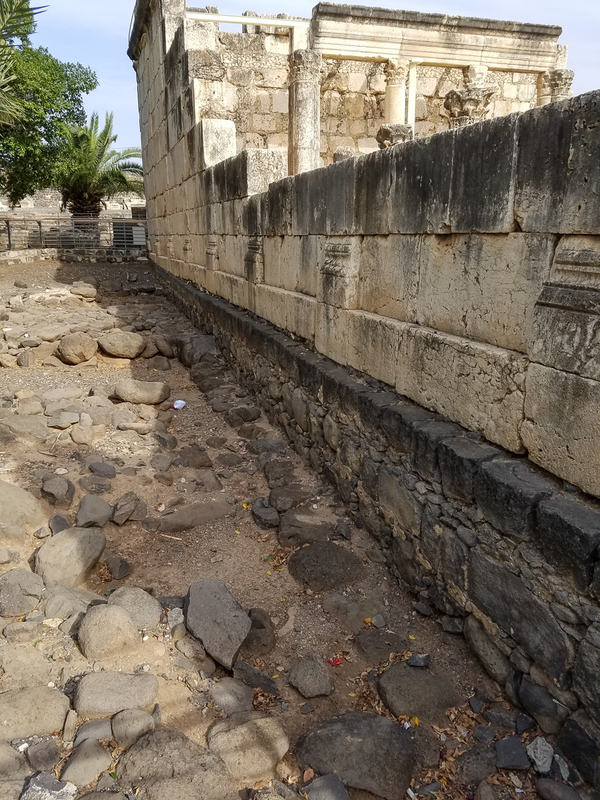 Notice the basalt foundation of the synagogue from the time of Jesus. 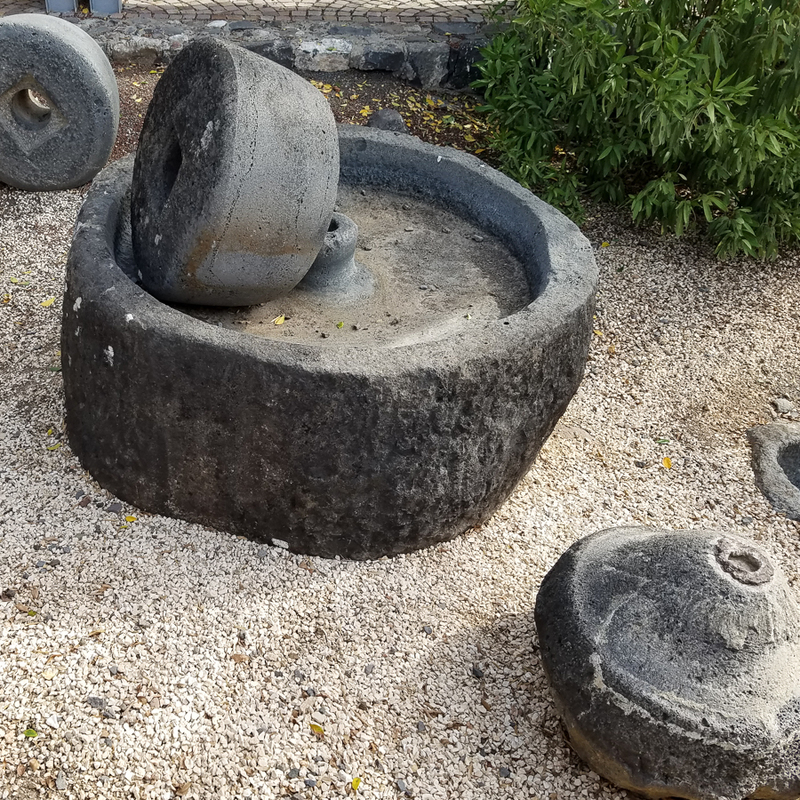 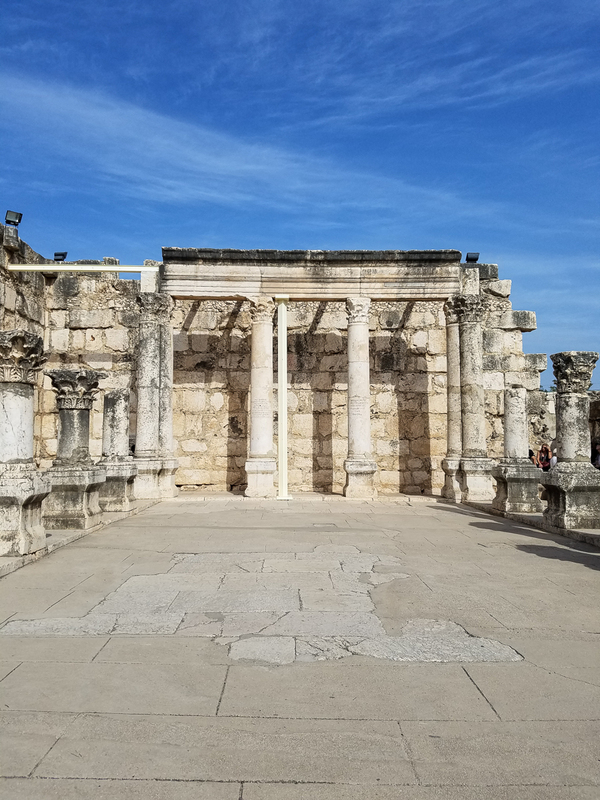 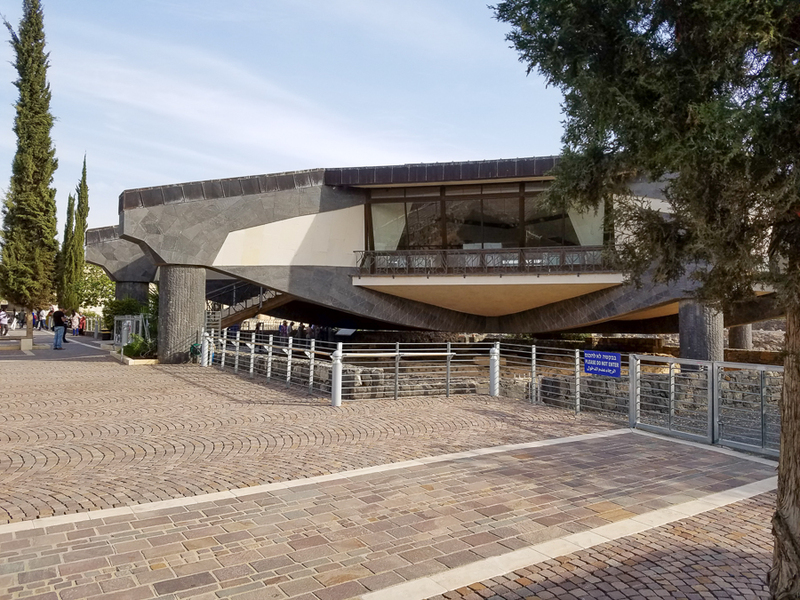 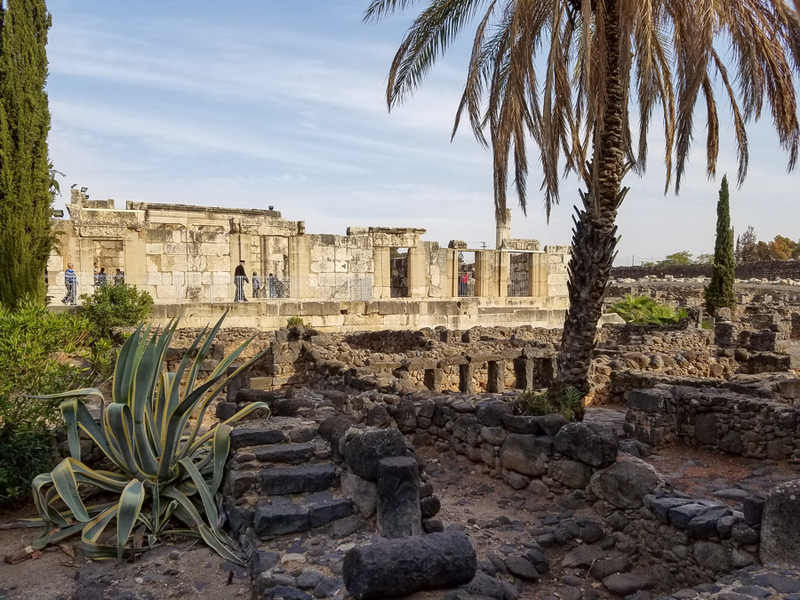 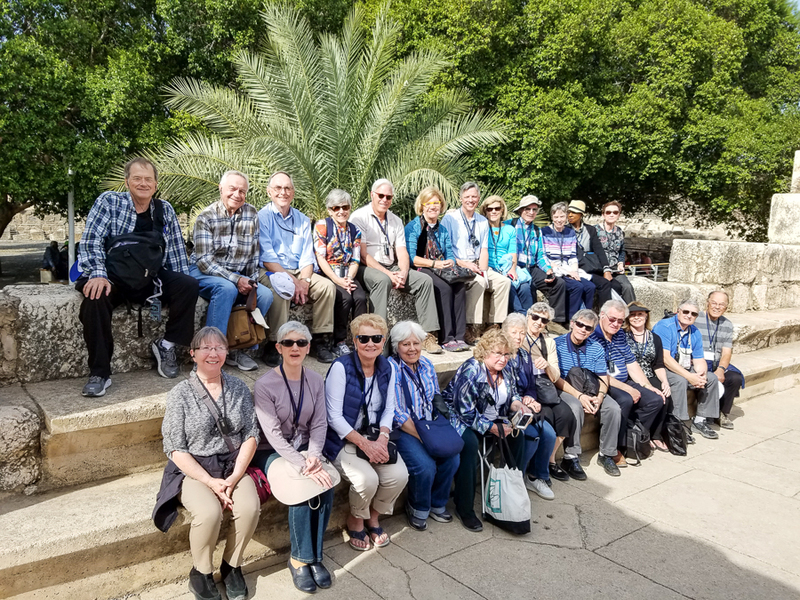 This entry was posted in Christianity, Travel and tagged Capernaum, excavation, Holy Land, Israel, Jesus, Synagogue on January 19, 2017 by frjfkauffmann.